Creamy milk shake with cherry and foam. hand drawing sketch vector illustration. 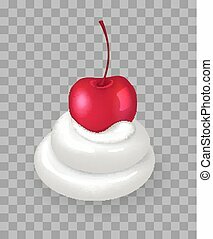 Whipped cream with cherry vector icon illustration. Whipped cream thick swirl with ripe cherry on top. 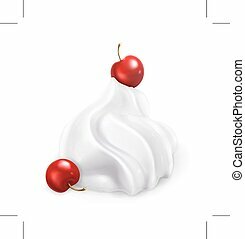 Delicious natural dessert of sweet berry and tender dairy product isolated vector illustration. Milk cocktail with a maraschino cherry and straw in tall glass hand drawn outline doodle icon. 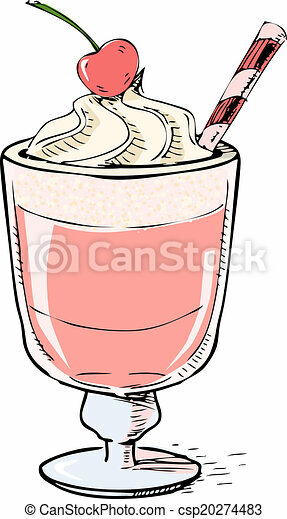 Glass of milkshake with whipped cream vector sketch illustration for print, web, mobile and infographics.